BHB Group LLC analyzes, buys and manages multi-unit apartment buildings and commercial properties at 60% LTV or better, in our targeted markets, using conventional and creative methods to secure and control real estate investments. BHB Group seeks value plays where through better property management, controlling expenses, raising rents and other ancilliary income streams, can yield properties with higher appreciated values. BHB also buys properties in revitalization zones where the city or state is spending money in these areas to enhance and improve that neighborhood or community. We are always watching the market trends and adjusting our strategies for buying and selling inventory to best take advantage of the current market phase opportunities as they present themselves through time. BHB Group Agents use the Internet, direct mail campaigns, as well as conventional marketing and advertising methods available to find and local properties that meet our buying criteria. BHB Group buys real estate apartments and/or other types of commercial real estate property deals in the interest of making a profit by any and all lawful activities. 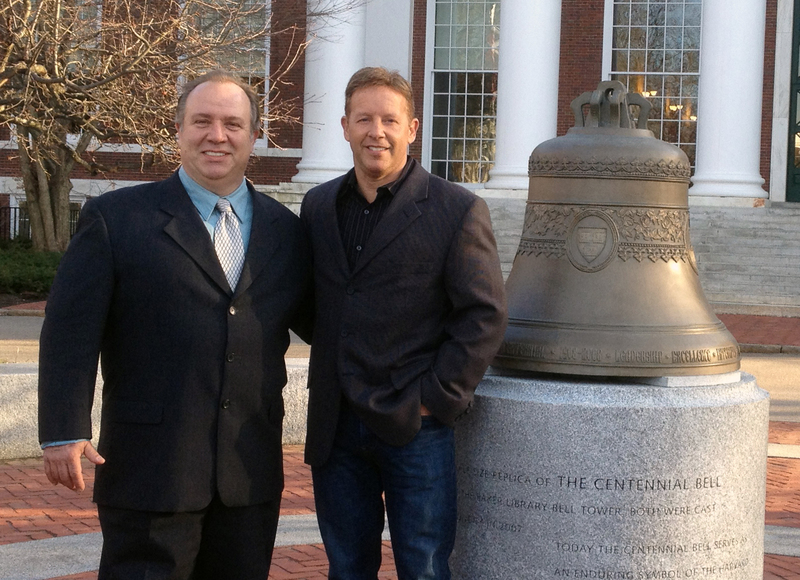 Brian Lucier meets with David Lindahl in front of The Centenial Bell at Harvard Business School in Boston, MA. Following is a summary of the mission points of this plan. • The objectives of BHB Group, LLC., are to continue to generate a profit, grow at a challenging and manageable rate, and to live up to the ethical codes set forth by the Northern Worcester County Landlord Association for residential properties. • The ongoing mission will be to locate, analyze and purchase real estate investment property with positive cash flow, by providing professional and personal service to both sellers and the acquisition team of professionals. • The keys to success for BHB Group, LLC., are marketing, networking, responsiveness, high quality customer service, and generating sales. • Maintain a successful partnership with our tenants, service vendors, our staff members, and our title companies, that respect the interests and goals of each party. • The current local market for this business, while not new, is wide open for new and expanding opportunities to purchase real estate investment properties at discounted prices. While so doing, the company will always continue to strengthen its position in the target market area by providing superior customer service to tenants and to acquisition team partners. The long-term mission is to use the current inventory to leverage for expansion into larger apartment complexes and commercial propeties in emerging market areas. In conclusion, this action plan projects steady growth, as additional properties are acquired and yield high net profits over the next three to five years. Implementing this plan, in conjunction with a comprehensive and detailed marketing plan, will ensure that BHB Group LLC., continues to be a profitable venture for the owner as well as for the contracting vendors and other team members.